Skim milk doesn't have the most delicious reputation, but there are times when a leaner milk actually works to your advantage. As Dessert Empress Stella Parks points out in the article below, there are times when richness can obscure and mute, rather than enhance flavours. The Most Chocolaty Chocolate Cream Pie: This pie, which gets its richness from egg yolks and high-fat dutch cocoa, actually tastes darker when you use skim milk, as the "milk solids have a way of muting chocolate's flavour." Classic Blueberry Muffins: Milk's main job in this recipe is to hydrate your dry ingredients and get that gluten going. That will happen with skim or full-fat, so use whatever you have on hand. 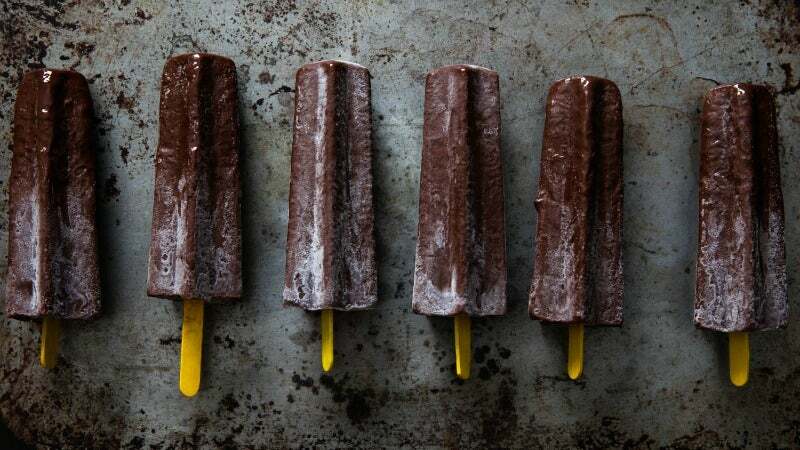 Extremely Refreshing Fudgsicles: As with the above pie, using a milk with fewer milk solids gives you an ice block that tastes darker and chocolatier and a lighter milk makes for a lighter, more refreshing frozen treat.